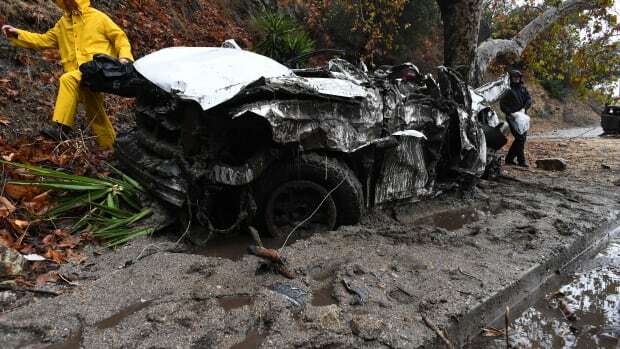 Devastating mudslides ripped through Santa Barbara County on Tuesday, blocking roadways, cutting power, knocking houses from their foundations, and killing at least eight people, the New York Times reports. Emergency workers who just weeks ago were battling flames searched for survivors in neighborhoods flooded with water and mud. 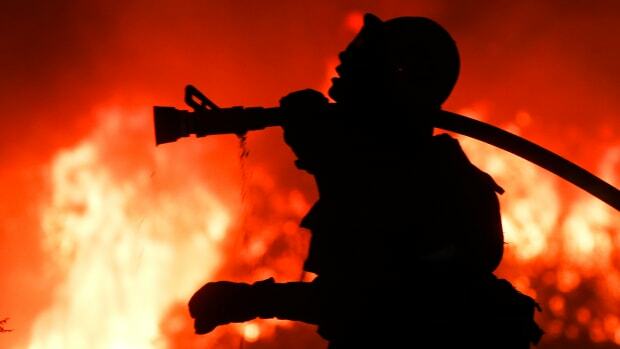 "I was waist-deep in the worst kind of mud you can think of," Mike Eliason, a spokesperson for the Santa Barbara County Fire Department, told the Times. "You sink when you walk into it, you can&apos;t pull your legs out." Meteorologists and climate scientists warned of the impending disaster as a months-worth of rainfall began falling Monday night on the region, which had been primed for landslides by the recent Thomas Fire. 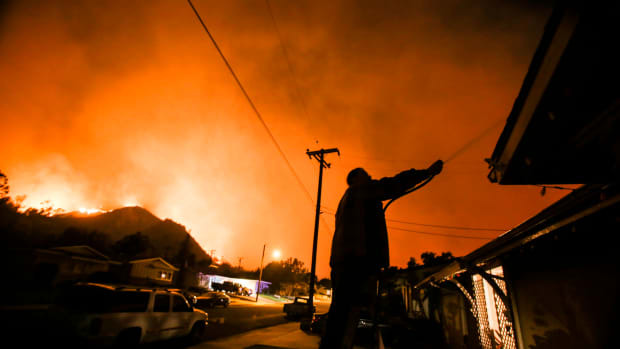 "Ash, soil, rocks, and charred trees have become untethered to the land, with no grasses or small shrubs to hold them in place," Eric Holthaus wrote yesterday in Pacific Standard. "On top of that, add in rainfall in hurricane-like quantity and intensity, and whole hillsides could give way in a swirling torrent of Earth, rushing downhill with a consistency much like wet cement." 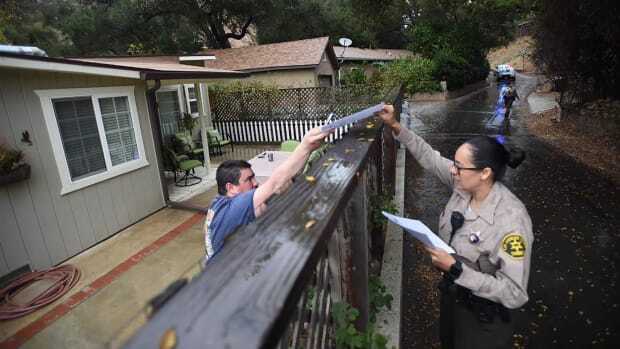 One Montecito neighborhood flooded with mud and boulders was not in the mandatory evacuation zone, according to the Los Angeles Times. Four homes were destroyed, and firefighters pulled two 14-year-old girls and at least two other unidentified residents from collapsed homes and "debris fields." Mudslides, waterspouts, and flash flooding are expected in already hard-hit areas. 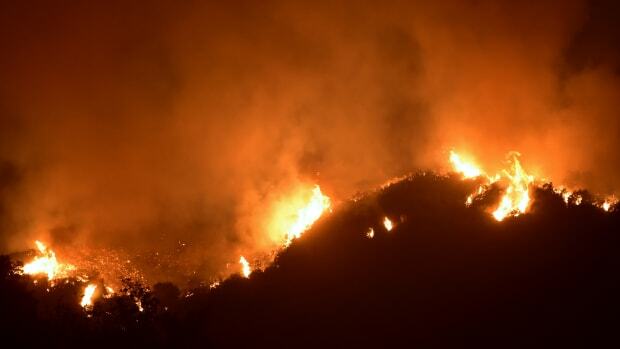 The Thomas Fire had burned an estimated at 65,500 acres and destroyed hundreds of structures as of mid-morning Wednesday. 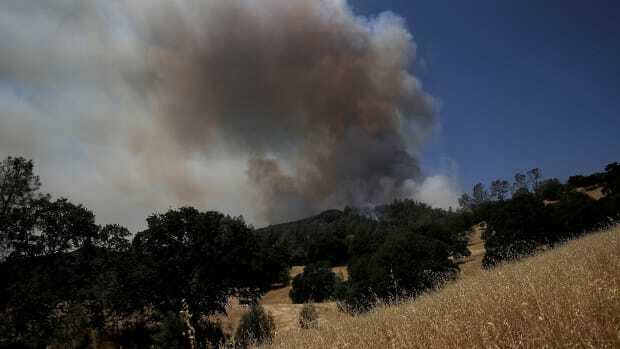 As of mid-morning on Tuesday, the fire was estimated at 45,000 acres, three times the size of Manhattan Island.